Organizations are focused on retention. Obviously, turnover is expensive – both in terms of cost and knowledge loss. However, it’s unrealistic to think that turnover won’t exist. So, organizations need to think about what amount of turnover is going to be acceptable. Here’s an overview of the four analytics levels and how it could be applied to address a challenge many organizations face: employee turnover. Using our turnover and employee retention situation, the organization might decide to focus on stay interviews. The six stages of the employee lifecycle are attraction, recruitment, onboarding, development, retention, and separation. In this post, we are republishing the chapter on employee retention. Better understand attrition and identify high-value employees, reducing turnover. 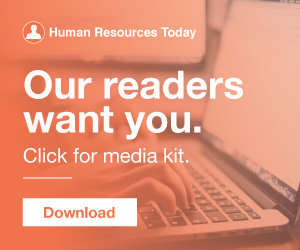 With voluntary resignations at an all-time high and unemployment rates historically low, employee retention is a key objective for most HR organizations, and employee turnover is the single most prevalent HR metric. Why should HR make employee retention a priority? In 2017, 56% of CEOs reported “recruiting and retention” as primary concerns. 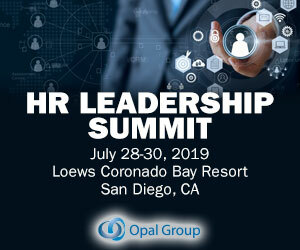 So, of course, HR is in overdrive, managing engagement, strategizing long-term retention plans and calculating turnover rates. What benefits could employee turnover possibly have? Years ago, I worked for an organization with a turnover problem. Everyone knows that employee turnover is a problem, but just how much of an issue is it, really? Today we’re going to explore the far-reaching nature of turnover and what it means for your organization. your hiring strategy, and builds a stronger employer brand. nd quality candidates, leading to better retention. tend to stay, which boosts your employee retention rate. With Newton’s 95%+ retention rate and over 3,000 happy customers, we think you’ll. What’s the biggest problem when it comes to employee turnover? No one owns retention! At many companies, when turnover rises executives point to HR to fix it – whose plate is already overflowing with terminations, payroll, benefits management, and back-fill recruiting. We had built a leadership development program for our Millennial population with the goal of reducing turnover costs. After the first three cohorts went through the program, we dug into the data, expecting to see just that: promotions driving retention. This was driving retention. In this Astronology®, we will discuss the factors that make low staff turnover difficult to achieve, as well as tips to keep turnover at lower levels. The post Tips to Lower Staff Turnover appeared first on Astron Solutions. High turnover is a major concern for many organizations. But how do you know if your turnover really is an issue? Let’s take an analytical approach to retention. Turnover is a key HR metric and tends to be understood by leadership as a serious risk. Pre-turnover red flags. Employee turnover is running rampant in most organizations today. As retention experts, we continue to compile effective strategies for reducing turnover. Organizational Strategies. Manager Strategies. E mpowered Retention Champions. Creating a highly engaged workplace begins with having an effective employee retention strategy. Employee retention is the organization’s goal to keep talented and skilled employees. The answer to all these lies within the dynamics of employee retention. Always top of mind these days, employee turnover is a critical and costly issue for companies across the U.S. It is simply in everyone’s best interest to make employee retention a top priority in our new found “sellers market”. Here are five ways HR can start improving employee retention today. When employees have expectations that aren't being met, they leave," says James Pollard, a specialist in financial advisor retention at TheAdvisorCoach.com. 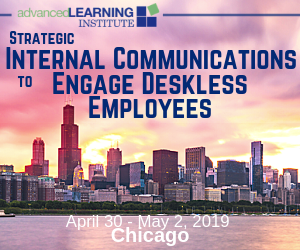 In this session we will explore how various pieces of the talent life cycle are related to retention and examine more than 20 strategies and ideas for improving retention outcomes for your business. Companies that scored in the top 20% for building a "recognition-rich culture" actually had 31% lower voluntary turnover rates! -. This negates many of the positive effects of recognition, leading to increased turnover rates. The Link Between Employee Recognition and Reduced Turnover. Hiring, vacancies and turnover are critical measures on both the state of the economy and the health of the organization. Some turnover is healthy for organizations, but the danger in such record-setting times is passing a critical threshold of talent loss. This is the time of year when employers need to be proactive with their employee retention strategies. The Cost of Employee Turnover. Employee turnover is the single most prevalent HR metric. How to Reduce Employee Turnover. Prove the retention problem. To do this, begin by looking at general trends for turnover and resignation patterns. A good rule of thumb is that if you are seeing increases in turnover of over 3-5%, then you have a trend that indicates a problem. lack an explicit compensation strategy, which leads to a number. of complicated problems down the road, including retention and. pay decisions Small Business Edition #CBPR184 Retention and Recruiting More than half of small organizations told us that employee retention is. This is why retention is key to essential in HR as well as recruiting. Yes, I can’t believe it’s November either, but it is which is why I’m taking a moment to remind you that retention is critical your recruiting and employee retention efforts in the next 12 to 24 months. This flip also demonstrated why retention is so important in recruiting. They’re also shifting their focus to be around retention in general. 2 – Employee Retention. Why should a PEO or HR service provider care about employee retention? If you can provide some guidance to your customers to help improve their retention, they are going to be more successful and value your services that much more. Employee retention matters. Employee Retention Strategies. We know what a revenue drain employee turnover can be. So the first rule of employee retention is to start at the beginning by hiring for the cultural fit. conditions and shifts in company strategy, and offer a fresh, objective perspective to challenges. increased turnover. which can lead to loneliness, burnout and turnover. than with traditional workforce turnover. you do not have technology to manage document retention. Employee turnover has a major impact on your organization's trajectory, but if you're having trouble with it, you're not alone. Even the best companies struggle with turnover. In this post, we’ll examine employee turnover: what it is, why it costs so much, and how to reduce it. Employee turnover is a major challenge for companies today, especially when the labor market is competitive and certain skills are in high demand. Retention of valued employees makes good business sense. The post Predicting Employee Turnover using R appeared first on Analytics in HR. They’re a key piece to today’s recruiting strategy. Recruiters should help hiring managers understand the connection between cost per hire, turnover, and the hiring process. 10 Proven Strategies for Recruiting In a Highly Competitive Job Market Click To Tweet. Organizations must shift towards strategic human resource management or use the HR department to formulate HR strategies based on the company’s short- and long-term goals. Here are three additional HR strategies your organization may be overlooking: Create a Retention Strategy. Your goal: figure out the specific calculations for important employment metrics like turnover rate and retention rate. Use these links to get straight to the information you need: How to Calculate Employee Turnover Rate. How to Calculate Employee Turnover Cost.